There are countless ways to explore gorgeous Scotland – touring the grand castles, train rides through majestic landscapes, driving along the coastal lines and the list goes on. One of the best ways is to go on an island-hopping adventure! Whether you’ve only got a couple of days or a couple of weeks, it’s worth taking the time to explore a few islands and take in the unique character of each. The main island groups are Inner and Outer Hebrides in the west, and Orkney and Shetland in the north. If you’re in Scotland, it is a crime to not taste their whiskey. 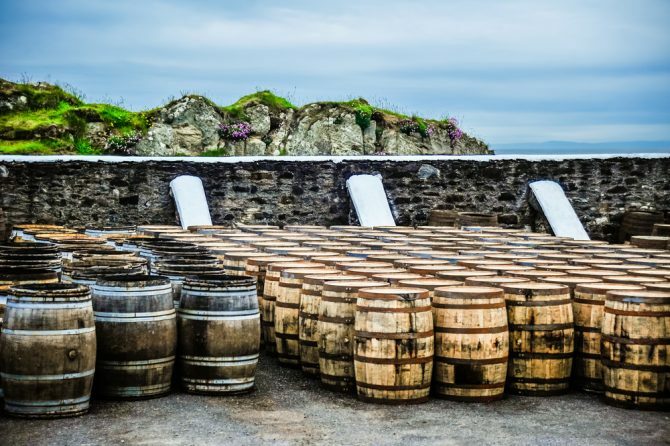 Sample the fine peaty whiskies of the which is home to eight distilleries. Some of the other islands that make up the Inner Hebrides are Jura, Colonsay, Isle of Iona and Skye. Skye is the one to visit to be mesmerised by the dramatic beauty of the castles in Scotland.